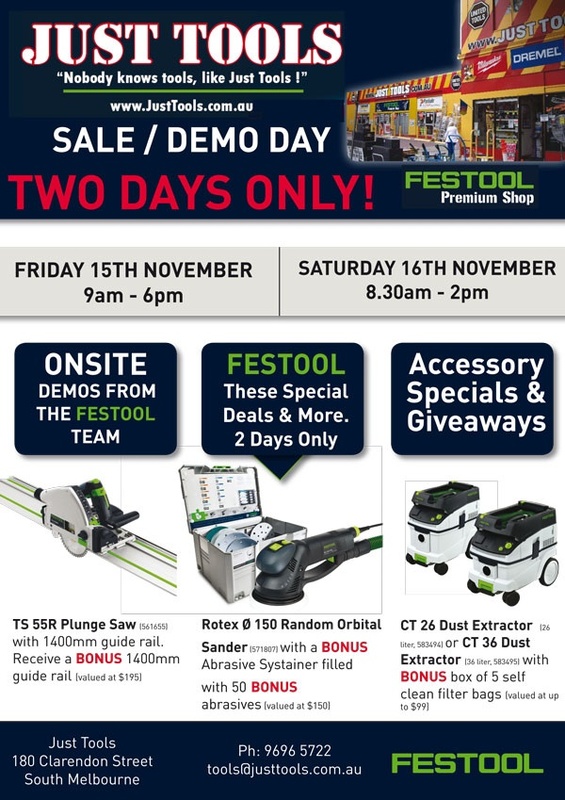 Just a quick post to let you know that Just Tools is having a Festool Sale , this Friday and Saturday. There will be loads of specials and demos so I hope to see you there. For my interstate and overseas readers call just tools or email them at tools@justtools.com.au to take advantage of the special sale pricing. I’ll be on hand both days so I hope to see you there.